So many things to write about, and so much writing to do. Sorry about missing last week. Somehow writing this week has been more of a chore than a joy. One of the things it has been suggested I write about is the continuing brouhaha over Nowak’s paper (Nowak, et al. 2010. Nature 466: 1057), the latest response by Liao, Rong and Queller (2015. PLoS Biol 13: e1002098. ), and who was right and who was wrong. 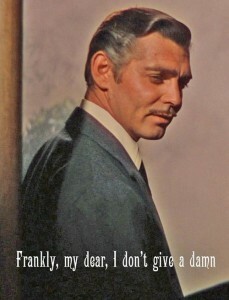 To all that all I can say is “frankly, my dear, I don’t give a damn”. If you must know, the basic model, although not as bad, has the same fundamental flaw seen in Gardner’s model: It does not include indirect genetic effects. I have discussed this before, and I will probably discuss it again. But for the moment it needs a rest, you can watch Gone With The Wind to see what happens when you beat a horse too much. 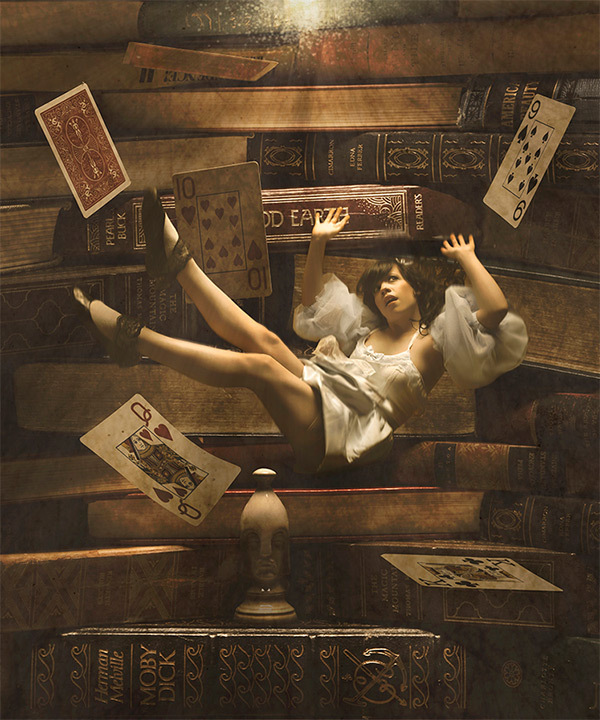 Instead, what I want to do is go deeper down the rabbit hole of what an individual is. In a previous blog post I argue that the individual should be the level at which we assign fitness. This is fine as far as it goes, but consider the situation in which we assign the fitness at the level of the organism. Well, organisms are not really one species. In fact, in humans, non-human cells are thought to outnumber human cells ten to one, although they are probably less than 3% of our body mass (http://www.nih.gov/news/health/jun2012/nhgri-13.htm). We also know that the microbiome has significant effects on health, ranging from effects on the ability of organisms to digest food to affecting the nervous system. This has a couple of interesting consequences. First off, when we assign fitness at the level of the organism, we are in fact assigning fitness to a community, which includes the host metazoan, and their microbiome. The first rather fun implication is that, except in the enlightened sense of the relativistic concept of individuality I discussed two weeks ago, there is no such thing as individual selection. “Individual selection” in the classic sense is in fact community selection. This is not a problem for selection per se. We can assign fitness at what ever level we want. If we want to assign it at the level of the community formerly known as an organism, then that is just fine. Selection is an ecological process. Which means that for simply analyzing selection, we don’t actually need to know anything about the heritability. Of course, that is a bit unsatisfying, since we would like to know the response to selection, and for that we need to know the heritability. The problem is that with over 90% of the cells in a human being non-human, the vast majority (some estimates as high as 99%) (https://www.microbemagazine.org/index.php?option=com_content&view=article&id=3452:major-host-health-effects-ascribed-to-gut-microbiome&catid=750&Itemid=969) of the active genes in our bodies are also non-human. So, again we are confronted with a potentially serious problem with the concept of heritability. This actually poses two problems. First we need an expanded view of realized heritability that recognizes that organisms are communities. This is not really a problem for the phenotypic perspective, which defines heritability in terms of the phenotypic resemblance between parents and offspring. But it does raise the interesting possibility that many of the genes that contribute to heritability may in fact be bacterial genes. This further raises the interesting point that the heritability of an organism will now be a function of the ecology of the microbiome. If you get the microbiome from your parents, undoubtedly true for a portion of the microbiome, then it is potentially heritable. The particular case in point here would be bacteria such as Wolbachia, which is an intracellular symbiont of arthropods that is maternally inherited. Among host variation in this bacteria would show up as heritable variance in the population. On the other hand, if the microbiome is picked up randomly from the environment then it may not be heritable. Even here there is a problem since it may be predictably acquired from the larger population, and thus heritable at a higher level. Consider termites. When a young termite first ecloses to become an adult it lacks its gut fauna, which it obtains by trophallaxis from another colony member. Basically, an older individual regurgitates and the newly emerged adult eats the symbiont containing regurgitate. What this means is that members of the same colony will all get similar gut symbionts. What this means is that in termites the gut fauna may not be heritable in the classic sense, it may nevertheless be heritable at the colony level. The bottom line for all of this is that yes, in my discussion I suggested that in many situations the organism would be a reasonable unit to call the individual. This week I am saying that the organism is not a single species entity, but must be considered a community. I am also arguing that if we use the phenotypic perspective the resemblance between parents and offspring then potentially the concept of inheritance can become quite complex, with some of the gut fauna being considered “environment” because it is randomly acquired throughout the life of the organism, but others need to be considered heritable variation. Even here we need to distinguish between parts of the microbiome that are inherited due to close association of the parents, and parts of the microbiome that are inherited at a higher level due to within group sharing of food, or other processes. It is interesting to compare this to my earlier post on heritability in the absence of genetic variation . What this suggests is that we are naïve to think that heritability can be consistently and logically reduced to nuclear Mendelian genes in the host species in the community that we call an organism. This entry was posted on Thursday, March 26th, 2015 at 2:28 pm and is filed under Uncategorized. You can follow any responses to this entry through the RSS 2.0 feed. You can leave a response, or trackback from your own site.